I am very excited about the paradigm shift in risk management and the greater emphasis on risk-based decision making or integrating risk analysis into decision making, which is really the same thing to me. 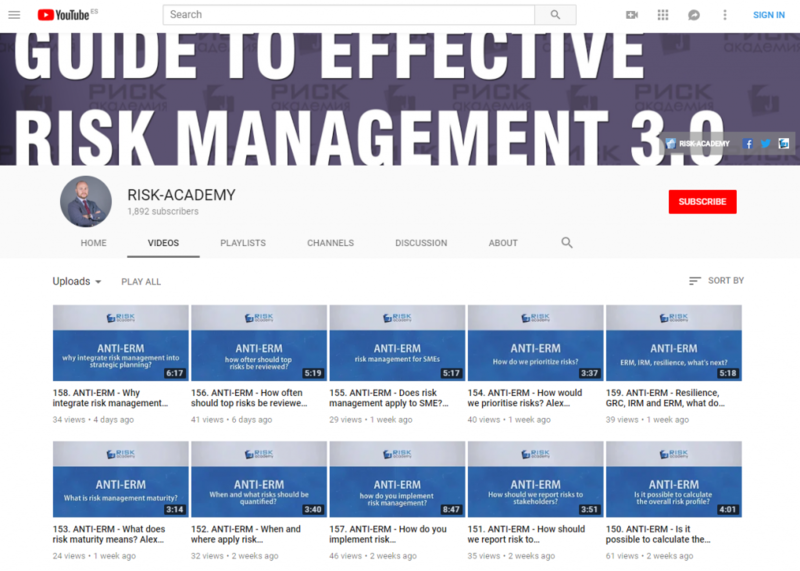 Finally risk management as a profession is moving away from artificial concepts created by consultants with no scientific evidence whatsoever to suggest they actually work to proper tools that have been working effectively since 1940s and 1970s. This is a great time to talk about risk management integration into everything an organisation does the culture of employees. Join me at the upcoming G31000 risk management conference in Dubai on 24-25 September 2017. After the conference I will run a master-class on reviewing risk management effectiveness and risk management maturity models, including the latest maturity model based on ISO31000 principles and developed by the G31000 network. More importantly, as one of the speakers, I have 3 tickets to give away for free. Like, comment or share this articles and you will enter the draw to win them. I will announce the winners on Sunday 17 September. Good luck and see you soon. Next: Next post: Are risk managers too scared to take risks? Good to see you as a speaker at such a valuable conference. I wish I could join the program to learn from the industry leader about paradigm shift in risk management, risk based decision making and state of the art risk management tools! I will be very grateful to you if u give me a chance as I am a fan and a follower of you.